I have brown eyes and strawberry-blond hair. I like watermelon, oranges, and trains. Can you spot Emeth's first public art installation from the above? 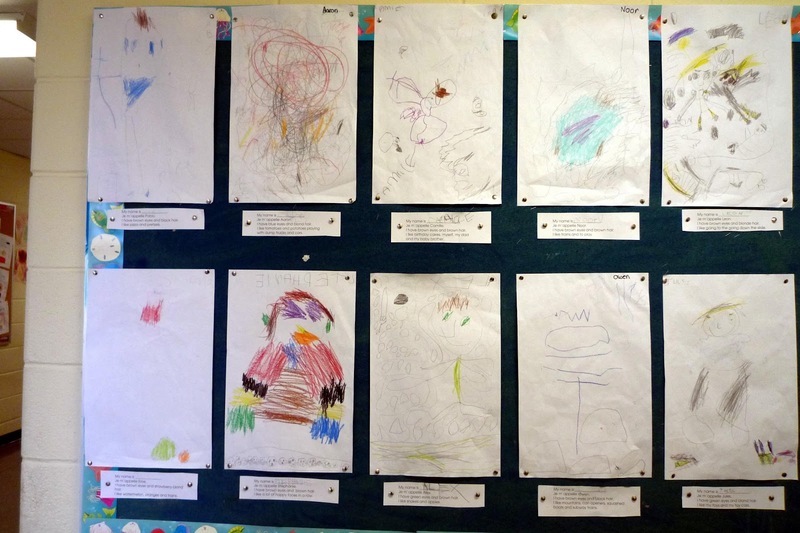 The class had to give their name, and describe themselves via their eye and hair colour. And mention a few things they like. And then draw a picture to go with this info. Virtually every kid filled up their page in an attempt to render their own likeness in some form or another. Hint: not Emeth. His page is 95% white space. He neatly draws on the bottom right corner, one watermelon, and one orange. One small orange ball. A larger sort of round green ball. That is all. 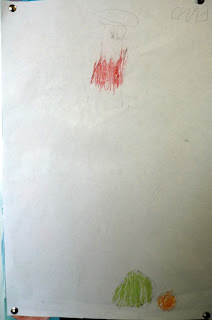 There is a bit of red near the top: but he says this was a mistake he wanted erased. 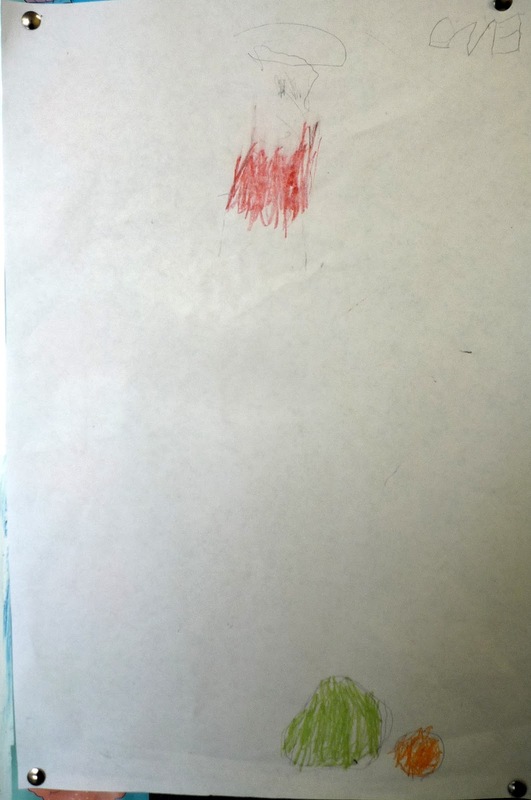 I asked him if he wanted to draw a picture of himself. No, just a watermelon and orange, he insists. But aren't you supposed to draw a picture of yourself to show your brown eyes and strawberry-blond hair? No, you can draw other things, he says. Minimalist artistic genius! Or mentally challenged? You decide! Update: Just wanted to add a better view of Em's masterpiece!